We aim to qualitatively process and package a healthy and holistic meat product for the Nigeria market. 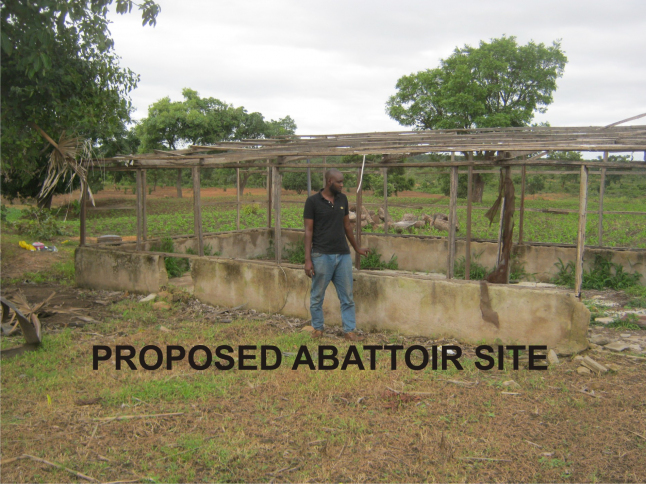 We have already procured a permanent site for the abattoir in an area in kaduna south with low population density and free of noise. And we are able to sell only processed chicken meat product at the moment to a couple of meat whole-sellers. Addressable Market(TAM) is $1,111,500, this is a potential revenue estimates and typically our costs take a 30% chunk of revenues. In Nigeria, we normally say "disease no dey kill African man" i.e. disease doesn't kill an African, whereas diarrheal disease alone is the fourth leading cause of death in the continent and the third in Nigeria, As in a state like Kaduna The third largest in Nigeria with a population of 6.5million people as at 2006, there is no standard abattoir yet that meets basic health standards with the attendant diseases risks because unhealthily processed meat products is a veritable source of disease transmission, such as cholera, typhoid and diarrhea. Central Abattoir, Zango, Tudun Wada, Kaduna; Familiarity with the customers, Variety of product. Unhealthy environment and low standard of processing and packaging. Dala Farms(Gbaitatu, kamazou Kaduna); Variety of product, Inflexible delivery and supply pattern and not easily accessible. Above are our top three competitors with their strengths and weaknesses. Our secret sauce of quality processing and packaging and we provide a holistic product that meets health needs in an eco-friendly way making use of natural grass and soya-bean in our animal fattening procedures. Our in–house and qualified veterinary doctor formulates the feed. We satisfy our customers by giving them a meat product that is healthily processed and packaged for optimum enjoyment using inert gasses such as nitrogen gas as a preservative. Whilst striving to meet all regulatory requirements. Like that of NAFDAC(National Agency for food and drug, administration and control)And we customize healthy protein extracts and white meat from chicken and grass-cutter for those customers who are prone to risks of high Cholesterol and cancer like elderly people. Fixed costs include; raw materials, i.e. the live animals purchase = 25,000 salaries and wages = 2,500, operations costs = 52,115 maintenance of facility and disposables = 300, Tax and levies = 150, cost of sales = 476 . Our operations cost is the most important cost factor in our processing(i.e. buying the live animals and fattening naturally to meet desired eight, slaughtering and packaging). Salaries, cost of sales and maintenance costs(especially fuel costs, cold room, and power) as well are taken into consideration importantly in relation to our revenue. Our costs take a 30% chunk. Our aim is to establish a standard abattoir to process and package meat products healthily in Kaduna .The procurement of a standard abattoir cannot be overstated. With an increasingly enlightened populace and working based on minimum health requirements for establishing an abattoir set by the state ministry of health, with advisory support from the veterinary council of Nigeria and an in-house veterinary doctor to properly and healthily process and package the most staple meat products for consumption. (including goat, cows, sheep, turkey, chicken and grass-cutter meat products)We are also favorably disposed to creating an app known as “nama" (meaning meat in the local Hausa parlance), so our customers could just be a click away from getting their favorite meat parts and products, and this service is to cover our state of business So basically, we shall buy the raw materials(live animals) and fatten if the need arises to meet the desired weight, then slaughter and package healthily for sales. Basic infrastructure problems like power supply and bad roads. Increase Human population density and activities. Adansonia Online Entrepreneurship training programme by Bocconi University, Milan.